Suurpedot.fi-sites offer a wealth of information on brown bear, wolf, lynx and wolverine. According to the draft regulation made by the Ministry of Agriculture and Forestry, population-based licenses could be granted for the hunting of max. 29 wolves. The Finnish Wildlife Agency will assess and examine the case-specific grounds for the granting of licenses. Decisions concerning the received applications can be made after the regulation enters into force. The EU’s Habitats Directive enables the population-based hunting of large carnivores on the conditions that the game species has a management plan and that the hunting will not weaken the obtainment of the protection level – and if there is no other satisfactory solution to the conflict. Until now, population-based hunting in Finland has concentrated on lynxes and bears, reducing conflicts caused by them. The hunting of wolves will be implemented as a two-year trial, where the effects of hunting on the wolf population, wolf pack structure and people’s attitudes will be closely examined. Kuhmo Visitor Centre Petola is home to Finland's large carnivores. Petola gives a wealth of information about these predators, and photographs and videos play an important role in the exhibitions of the centre. 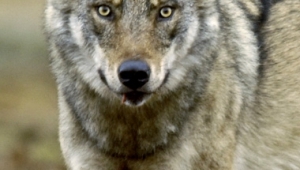 Attitudes towards predators have always varied by species. The wise bear has been respected throughout the ages while people have rarely had anything good to say about the cruel wolf. Even though the world has changed, these ancient attitudes are still present in people's minds today. Find photographs and videos of large carnivores and there way of living in different times of year in the Gallery.